The bill on healthcare reform (bill No. 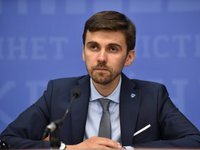 6327 on the public financial guarantees of provision of healthcare services and medicines) will be signed by the Ukrainian president and the resolution to annul the bill would not have enough supporting votes, Ukrainian Deputy Health Minister Pavlo Kovtoniuk has said. "Now, I think that nothing would prevent the bill to be signed and enter into force. This bill was passed with support of the president and most of parliamentary factions backed it. I do not think that the resolution of our oppontents would have enough supporting votes," he said in an interview with Interfax-Ukraine. Kovtoniuk pointed out risks linked to the implementation of the healthcare reform law, including political risks related to the fact that the reform will be implemented in the year going before election. "Our opposition would be stronger. Our supports will support us in quick and tough steps, but there will be some persons who would like to make the reform softer, longer, postpone it… No one wants to risk before election," he said.